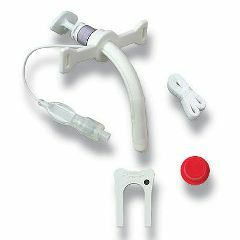 This Bivona TTS Tracheostomy Tube is of particular benefit for patients requiring cuff inflation for managed, controlled leaks, protection from potential aspiration during feeding, or for short periods of total tracheal seal. When the all silicone cuff is totally deflated it adds no distinguishable dimension to the outer diameter of the tube's shaft, yet it can be partially or completely inflated for varied airway management needs. TTS is the most versatile tracheostomy tube available. Packaged individually sterile with obturator, twill trach tie, 15mm disconnect wedge and cap plug. What is the "disconnect wedge" used for?